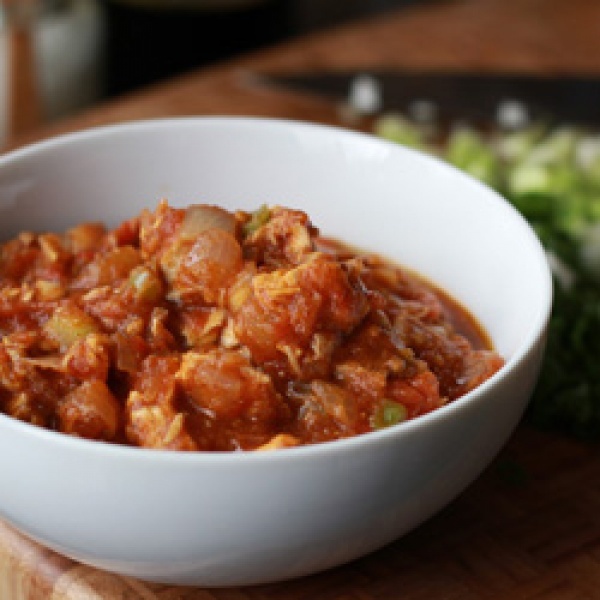 This is a second chili recipe I have included on the 50 day nightshade free recipe challenge. This time the nightshade free chili recipe includes butternut squash and turkey mince or ground turkey as more commonly known. Turkey is a great meat to consume to keep your intake of inflammatory foods to a minimum and such a filling and tasty source of protein. Add some steamed water from the pot that you steamed the butternut squash in to make the sauce a bit less thick. Add the beans and spices. Simmer for 10 minutes and taste.